myRaceKit's Desert Hat with UV protection is a lightweight, ventilated cap with a removeable neck/ear flap - generously sized to ensure full coverage from the sun. The flap attaches via two extra-long velcro tabs on each side of the hat, so it can adjusted forward-and-back to ensure good ear and neck-coverage, whatever the shape of your head! It also has plenty of size adjustment for larger heads, and will feature a black underside to the peak which will significantly cut down on reflected glare (compared to all-white peaks which bounce reflected light into the eyes - believe us, it really makes a difference!). The peak is also slightly longer for extra eye protection. Ideal for MdS, Atacama Crossing, Gobi, 4 Desert Series, all desert racing and hot climate racing. After using various types over the years, we were getting frustrated by the features (or lack of them!) on the current crop of sunhats. From experience, we know that having a dark-coloured underside to a hat's peak is almost as good as wearing a pair of sunglasses - yet most hats had white peaks top and bottom. We also found they seemed cut for small heads only - with very little adjustment for anyone larger. And we couldn't really see the point of an ear and neck flap that didn't cover the ears and neck very well! 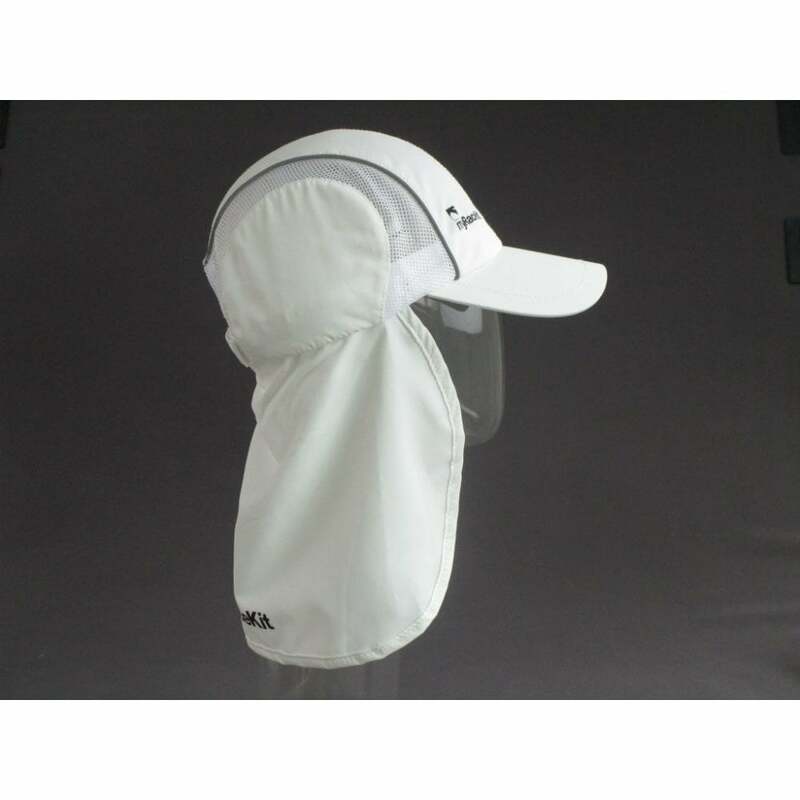 Hence the myRaceKit Sunhat - adjustable, black peak, and great ear and neck coverage. Hope you like it!